CINTEC International, a world leader in the field of structural masonry retrofit strengthening, repair, and preservation, announces that its patented anchors were used in the restoration of Astley Castle in Warwickshire. Following its renovations, Astley Castle was awarded the prestigious Riba Stirling Prize for Architecture. Cintec teamed up with architects and engineers from Mann Williams and Newport-based Protectahome to restore the castle. Cintec assisted Protectahome with the first phase of restoration, which included structural repairs and stabilizing the remaining walls of the building prior to rebuilding. Cintec’s patented anchors were used to stitch together and strengthen the walls. 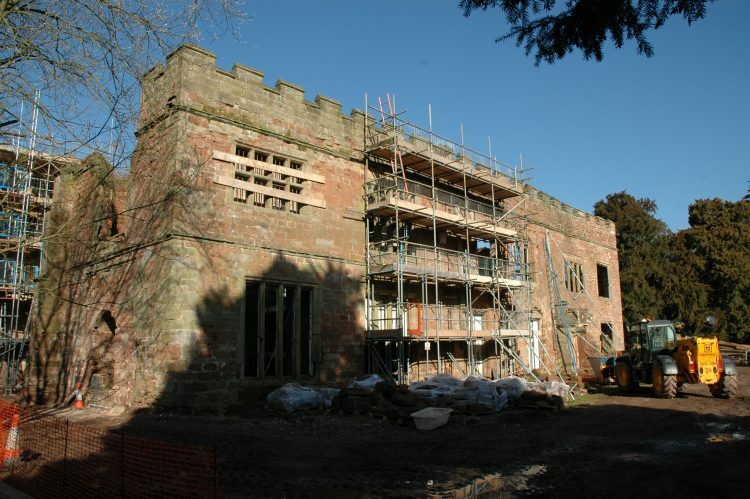 The process of restoring Astley Castle involved using a diamond drill to insert steel anchors into the building. Once in place, grout was pumped into a special sleeve surrounding the anchor, and air pumped out. Cores removed during this process were retained and reused where the anchors were installed, leaving an almost invisible repair. The work has ensured the survival of the original walls, allowing the award-winning holiday home to be built within the shell of the ancient castle. The Riba Stirling Prize is the UK’s most prestigious architectural award. Judging is based upon original, imaginative and well-executed designs that excellently meet the needs of their users and inspire those who use and visit them. Cintec anchors have been used to restore historically significant buildings across the globe including Windsor Castle, the White House, and extensive work on Egypt’s pyramids. CINTEC International is a world leader in the field of structural masonry retrofit strengthening, repair, and preservation. CINTEC America of Baltimore, MD, has associated offices in Newport, Wales, UK; Newcastle, Australia; Ottawa, Canada and in India. The principal activity of the company is the design and manufacture of the CINTEC Reinforcing Anchor System, a micro cement anchoring and reinforcing technique. CINTEC offers complete structural analysis and design services, turn-key solutions, as well as masonry repair and reinforcement anchors used for blast protection, seismic reinforcement, historic preservation and overall building strengthening. CINTEC was awarded the 2002 Queen’s Award for Enterprise in Innovation and received two U.K. Historic Bridge Awards and an Engineering Excellence Award from The Institution of Engineers, Australia in 2001. For more information, call 1-800-363-6066; fax: 1 800.461.1862; e-mail: solutions@cintec.com or visit www.cintec.com.